FORUM Good Roommates – Life Enrichment Options™ for the FORUM in North Bend. 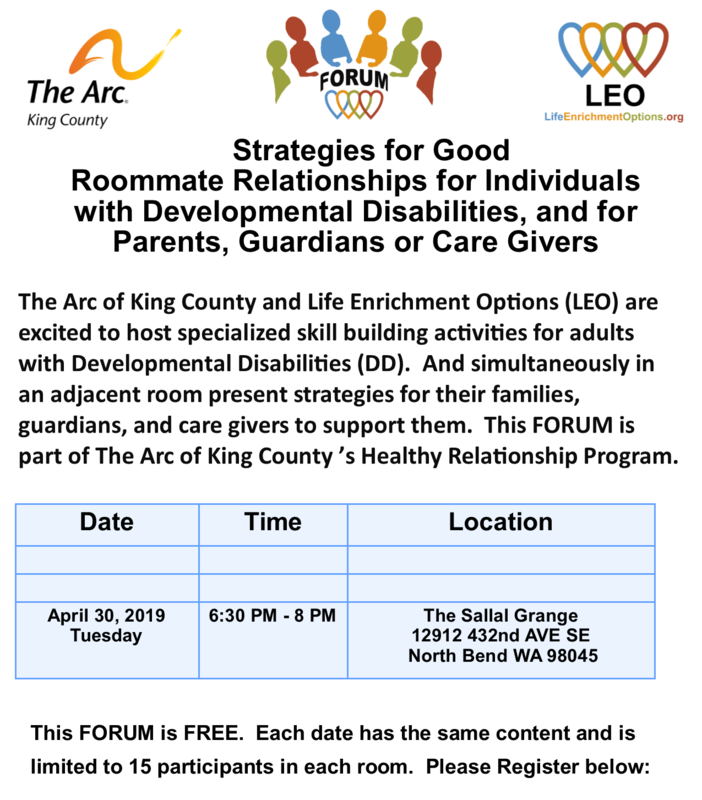 On April 30th 2019, a FORUM will be presented on “Strategies for Good Roommate Relationships for Individuals with Developmental Disabilities, and for Parents, Guardians, or Care Givers.” This FORUMS will be in North Bend, and has the same content as the two recent FORUMs on April 2nd and 4th in Issaquah. REGISTER for the FORUM in North Bend.